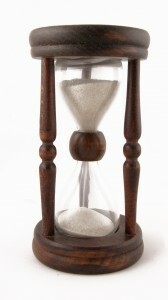 How long does it take short sales in Reno and Sparks to close? I took data from the past six months (February-July) of sold short sales to find median and average days on market and contract to close time frames. Days on market are defined as the length of time from the signing of a listing agreement to the closing and transfer of property to the buyer. The average days on market for sold short sales was 214 (clickable graph below). 214 days from listing to sale. That’s over 7 months and may sound a little scary. There is a caveat with the above figures. Just because a short sale is listed and goes into contract doesn’t mean it will close with that buyer . Reno and Sparks real estate contracts have a contingency to that allows the buyer or seller to cancel the contract, after an agreed upon number of days, if the seller can’t get an approval from their lien holder. Many times there will be multiple buyers in and out of contract with a short sale before it sells which adds more days to the total. 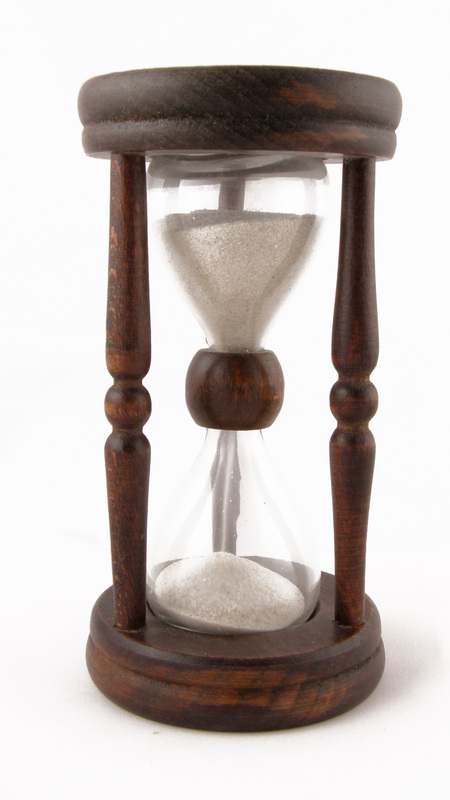 A better way to gauge how long it will take is the contract to close time frame. Contract to close is the amount of time from when a buyer and seller agree to an offer, in writing, and closing takes place. 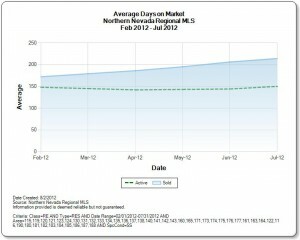 The average contract to close for sold short sale in Reno and Sparks was 111 days and the median was 103. Much more manageable than the 214 days from above. By these numbers you can hope for an approval within 2- 3 months and then a 30-45 days escrow closing. Again, there are a few things that affect this data. Some short sales come pre-approved by the lien holder. This means that the bank has a number they are expecting and if the buyers complies an approval may be given within 2-4 weeks. Also, it seems some of the agents in our area have no idea how to enter information into the MLS. There were a number of properties that showed 0 days between the contract and sold date. Obviously, it’s impossible to close a short sale in 0 days. Overall, the numbers match up to what we see nationally so even with the few inaccuracies and poor data entry the numbers are pretty spot on. Don’t forget to check back in a few days to learn a few tricks on how buyers and their agents can speed up short sales. Posted in For Buyers, Short Sales/Foreclosure and tagged how long for reno short sale to close, reno short sale approval letter, reno short sale buyer seller agent, reno short sale closing time, reno short sale short cuts, reno short sale speed up, reno sparks short sale time frame.